Charging crane are also named scrap charging crane, furnace charging crane, converter charging crane. 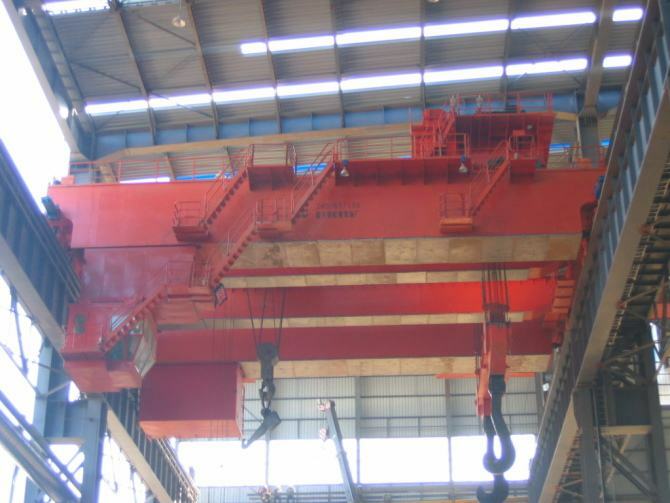 Charging cranes are used to lift the steel scrap basket and charge the scrap into converter. 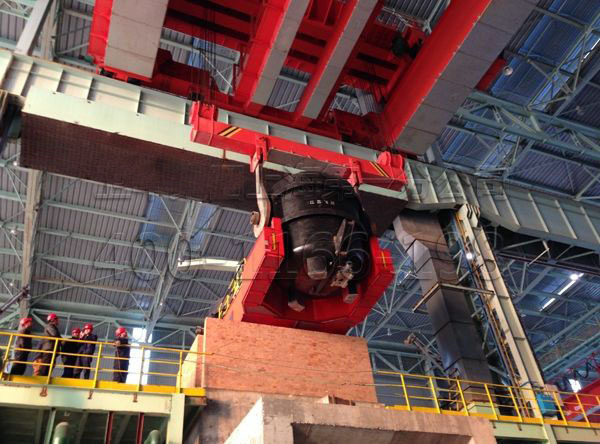 Charging crane are also named scrap charging crane, furnace charging crane, converter charging crane. The charging crane are usually designed as double independent trolley type, or single trolley type as the lifting mechanism. According with the structure of feed spout, for 3 ear bearing type feed spout, the charging crane should design the hook which close to the feed spout as double lifting point hook. The hook which is far away the feed spout should be designed as single hook type. 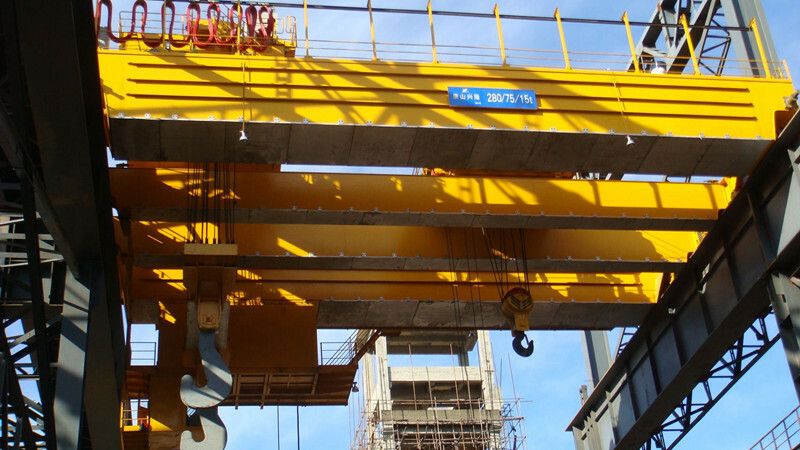 The charging crane have included several components such as electrical control equipment, trolley system, crane traveling mechanism, crane girder, hooks etc. Since the scrap did not separate very balance in the feed spout, the charging crane design should consider the unbalance loading. 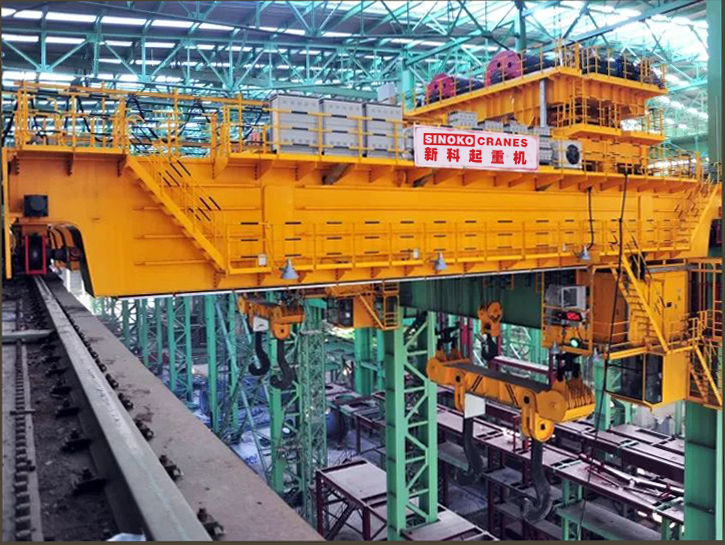 The charging crane are lifting the steel scrap basket and charging them into converter, it have speed requirements for main hook and auxiliary hook. The speed should be synchronized variable speed.